In accordance with article 8 of the Framework Convention on Tobacco Control, governments, health practitioners and wider society all have a duty to protect non-smokers from the harms caused by second-hand tobacco smoke (SHS) exposure. Considerable attention over the past two decades has been given to implementing smoke-free public spaces and workplaces in many countries. However, there is the risk that the tobacco control and wider public health research community now wrongly perceives that the ‘SHS exposure problem’ has been successfully resolved and no longer requires international attention. It is possible that this has caused a widening in exposure inequality with adults in countries where smoke-free laws are comprehensive benefitting most while children in poorer communities in those countries where smoke-free laws are partial or poorly enforced have seen almost no improvement. SHS is one of the major sources leading to poor indoor quality and is estimated to cause nearly 900,000 attributable deaths per annum and approximately 0.7% of all global morbidity. Taken at a global level, the majority of human exposure to SHS is now likely to occur within home settings that are out of the scope of existing global legislation designed to reduce exposure to second-hand smoke. The long-term benefits of reducing the exposure of non-smokers to household SHS are likely to be substantial for all; particularly for vulnerable groups such as children, pregnant women, older people and those with existing health conditions. 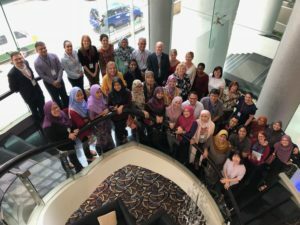 In light of these facts, a group of academic scientists, clinicians and tobacco control specialists held a workshop in Kuala Lumpur, Malaysia 7-9 May 2018 to consider the research and policy needs in relation to smoke-free homes in both the UK and Malaysia, with a view to wider policy translation globally. The outcome of this workshop is the: ‘Kuala Lumpur Smoke-Free Homes Charter’. The UK has made considerable progress in reducing the proportion of adults and children who are exposed to SHS in the home – much of this progress has been achieved through high compliance with comprehensive smoke-free laws covering public spaces that have helped shift social norms around the acceptability of smoking in all indoor environments. Mass media campaigns aimed at helping parents protect their children from SHS have also driven progress in reducing children’s exposure to SHS in recent years. This has been combined with UK-wide legislation on protecting children from SHS in vehicles and a global first, a Scottish Government target to reduce the proportion of children exposed to SHS at home by half by 2020. Exposure to SHS at home in Malaysia is culturally and socially different to the UK. Like many South -East Asian countries smoking is predominately a male behaviour: current figures suggesting 46% of males smoke compared to <2% female prevalence. Smoke-free public space legislation is also partial and poorly enforced in many sectors: some types of restaurants and social spaces are exempt and thus the culture of protecting non-smokers from SHS may be less well developed than in the UK. Smoke-free home interventions should be delivered at a household level rather than specifically targeting women. Methods to recruit, consent and interact with all members of smoking households are required. Current research methods have tended to avoid this more complex approach, in part because they have generally been implemented in high income countries where female smoking rates are similar to those of men but as mothers tend to provide most childcare they are higher sources of SHS exposure. Methods of accessing smokers and smoking households are likely to be different in the UK and Malaysia. We recognise the important opportunities that exist around the fasting month, Ramadan, where smoking does not take place during daylight hours. This temporary cessation behaviour may enable the design of culturally specific interventions. Similarly, the high level of attendance in Mosques and religious activity in Malaysia may also provide a means to communicate messages to smokers and their families about the harms posed by SHS exposure. In both countries we see the potential of raising awareness about SHS exposure among children through their school curriculum. The Tobacco Control community has a responsibility to ensure that children do not feel pressurised or compromised by using these health messages to their parents or carers. There is potential to use air quality feedback and/or biological monitoring methods such as salivary cotinine levels as motivating tools to encourage households to move towards smoke-free rules. The economics and health costs of SHS exposure in the home are not well understood or characterised in either the UK or Malaysia. The tobacco control research community needs to engage with health economists to develop appropriate models to better understand the societal costs that would accrue if we fail to reduce the proportion of non-smokers exposed to SHS at home. There is a need to develop the evidence base around the impact of outdoor smoking restrictions on smoking at home. Malaysia has a well-developed tobacco control community but there is a need to strengthen the interaction between policymakers and those providing research evidence. We call on the development of a smoke-free homes research network in Malaysia to build on the experiences of relevant advocacy NGOs in the UK to help facilitate the exchange and communication between academics and government officials responsible for public health. making existing public-space smoke-free laws comprehensive and implementing these effectively so that the societal benefits can be fully realised. We finally note the lack of research funding routes or direct funding calls to provide the mechanisms to carry out much of the work described above, and call on governments to consider providing regular funding opportunities to universities, NGOs and other parties interested in public health, to develop a research base in the UK, Malaysia and beyond. SS and EZ conceived the workshop, applied for and obtained the funding. SS drafted the first version of the manuscript and all authors contributed both to the discussions leading to that draft and to subsequent revisions. All participants at the workshop contributed to the discussions that produced the charter and all approved the final version. 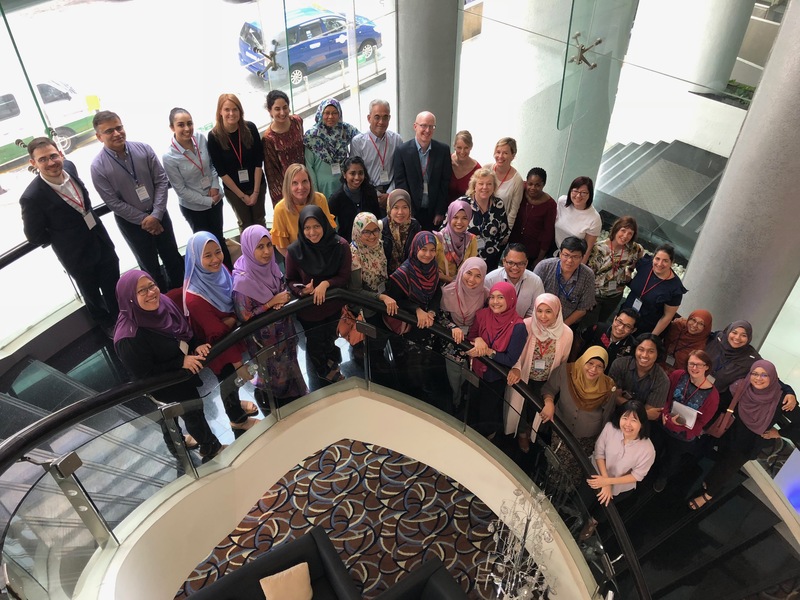 The Workshop was held in Kuala Lumpur on 7-9th May 2018 and was funded through a Researcher Links Workshop Grant (2017-RLWK8-10694) provided by the Newton Fund, the British Council and the Academy of Sciences Malaysia (ASM). 2Department of Environmental & Occupational Health, Faculty of Medicine and Health Sciences, Universiti Putra Malaysia, UPM Serdang, 43400 Selangor, Malaysia. 5Department of Community Health, Universiti Kebangsaan Malaysia Medical Centre, Jalan Yaacob Latif, Bandar Tun Razak, Cheras, 56000 Kuala Lumpur, Malaysia. * Other workshop participants who contributed to the development of the charter: Abidin NZ (Universiti Putra Malaysia), Aizuddin AN (Universiti Kebangsaan Malaysia), Anua SM (Universiti Sains Malaysia), Campbell K (University of Nottingham), Cheeseman H (Action on Smoking and Health UK), Cooper S (University of Nottingham), Demou E (University of Glasgow), Dobson R (Action on Smoking and Health, Scotland), Hasan SI (Universiti Malaya), Hasnudin NAI (Universiti Putra Malaysia), Hassan NA (International Islamic University of Malaysia), Ibrahim TAE (Universiti Malaysia Terengganu), Ihsan NB (Universiti Putra Malaysia), Ismail I (Universiti Teknologi MARA), Ismail S (Universiti Putra Malaysia), Jayes L (University of Nottingham), Kaur J (University of Birmingham), Latif NHA (International Islamic University of Malaysia), Lim KH (Institute of Medical Research Malaysia), Mdege N (University of York), Mohamad N (Universiti Malaysia Terengganu), O’Donnell R (University of Stirling), Rashiden MIA (Universiti Malaya), Rowa-Dewar N (University of Edinburgh), Safuan S (Universiti Sains Malaysia), Shafie FA (Universiti Teknologi MARA), Shah S (University of York), Stewart I (NHS Greater Glasgow and Clyde), Subramaniyan M (Universiti Malaya), Sutan R (Universiti Kebangsaan Malaysia), Yusof MZ (International Islamic University of Malaysia), Zain MAM (Universiti Malaya) and Zulkifli A (Universiti Putra Malaysia).